As biodegradable materials are fast replacing other alternatives in packaging, the SODALTECH PAPER PULP MOULDING PLANT offers immense scope for profit with an astonishing range of pulp moulded products. Its capacity to breathe and absorb excess natural moisture makes paper / paper board pulp the ideal medium for food packaging. 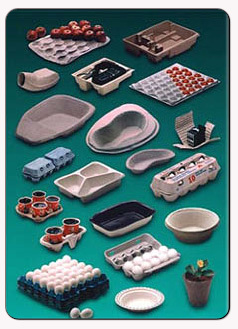 The cost effectiveness, design range and soft texture make it suitable to pack any material including sensitive goods like eggs, fruits, etc. Its biodegradablity makes it eco-friendly and acceptable to any international standard.